Here, in California, for example, during the past year our lawmakers actually tried to weaken our already weak public records laws by allowing local governments to opt of out certain provisions of the law. Language inserted into a budget bill on Wednesday would allow local governments to turn down requests for records without citing a legal reason. It would no longer require government officials to respond to to records requests within 10 days or force them to help the public by describing what records exist. Going further, and based on my own experiences, it seems that California public records laws give way to much leeway, or “power” to the ones holding the records. For instance, a government agency like the LAPD or the Los Angeles County Sheriffs Department can easily refuse to hand over documents because they don’t want you having them (see here and here). Agencies can say the records are “confidential” to bolster their questionable claims for denial. They can also redact material that is inculpatory, or simply say the documents don’t exist when they actually do. 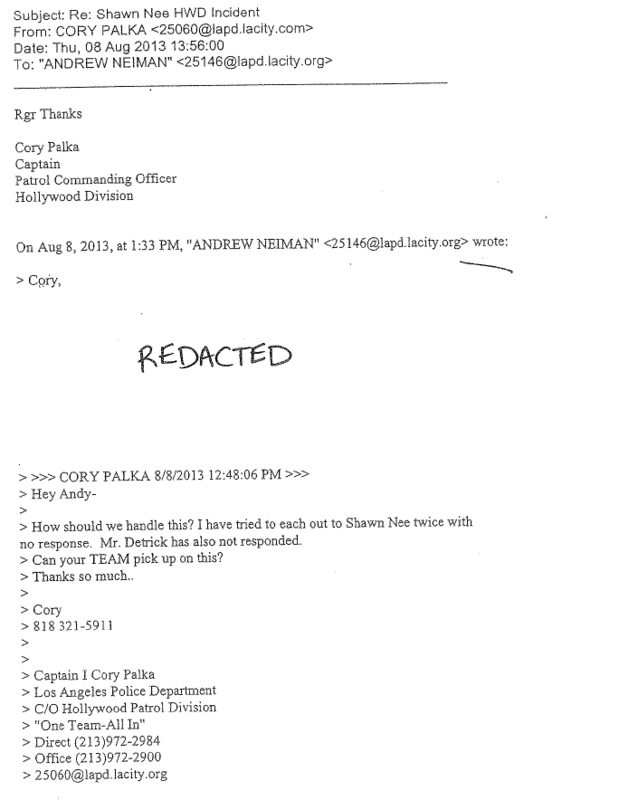 For example, there is email communication involving members of LAPD that I know exists. And even though I made multiple public records requests seeking this particular information, the emails weren’t turned over with the other emails I was given. 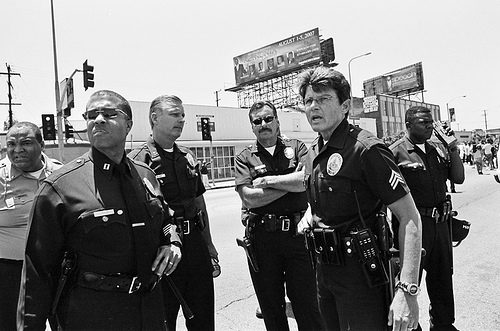 Which, forces me to ask: What else is LAPD withholding from me that should be turned over? What it comes down to, is the fact, that if you aren’t represented by an expensive California lawyer (a retainer for an LA public records lawyer runs between 2K-4K), and someone behind the velvet curtain doesn’t want you to know something, your request will be denied. Or at best, redacted. And that’s the difference between strong public records laws, like in Florida, that hold government accountable for their actions, and the laws on the other end of the spectrum, like in California, that help guard the hen house from public oversight. 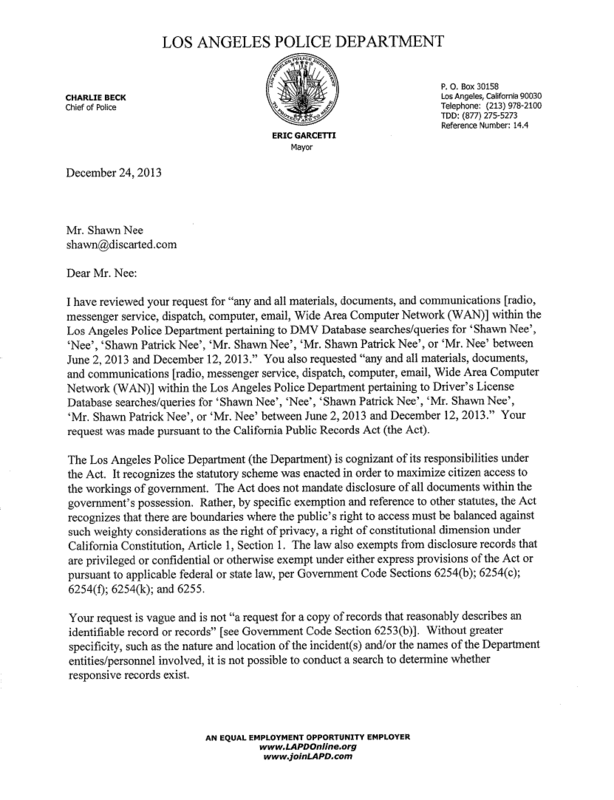 In the The Golden State, you really can’t prove if you’re getting your money’s worth when a government agency like the LAPD finally hands over “all of the relative documents” concerning your public records request. 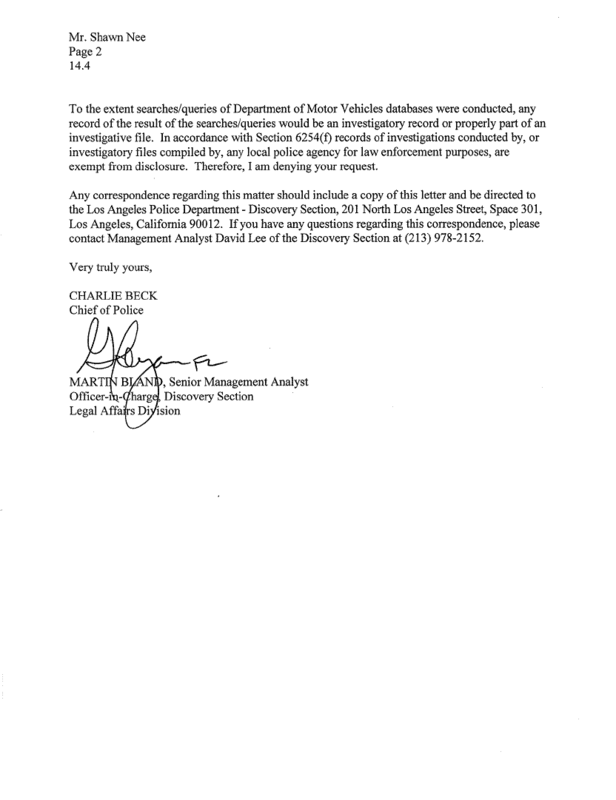 I wanted to find out if members of the Los Angeles Police Department had accessed my DMV records, as well as the Drivers License Database for my personal information during the past 6 months. It was just a feeling that I had—that officers were looking me up for whatever reasons (maybe to know what I look like so they don’t unlawfully arrest me again or detain me anymore). And seeing that I was recently visited by two officers at my new address, I figured I was on the right track after closing the front door. On a side note, and for purposes of integrity, the Sergeant who came to my house is leading the investigation into my June arrest. He wanted to interview me, but I declined (the encounter is on video). Arguably, it was a valid visit, but one that should never have been conducted, especially since LAPD received a tort claim from my attorney in October 2013 regarding my arrest. Their attorneys should be contacting my attorney, not me. With that said, the point that I’m trying to highlight, is the fact that I’ve lived at my new address for only two months and my DMV information was just updated in late December. My formal complaint against LAPD, which was filed in August, has my old address on it. So in order to know where I now live, the Sergeant who just visited me, would have had to access my updated personal information via some database. Which makes me believe that I’m on the right path, and my initial assumptions about my personal records being accessed by LAPD are correct. But being on the right path, doesn’t mean I’m privy to government information involving my personal information. That’s just not the way California law works. 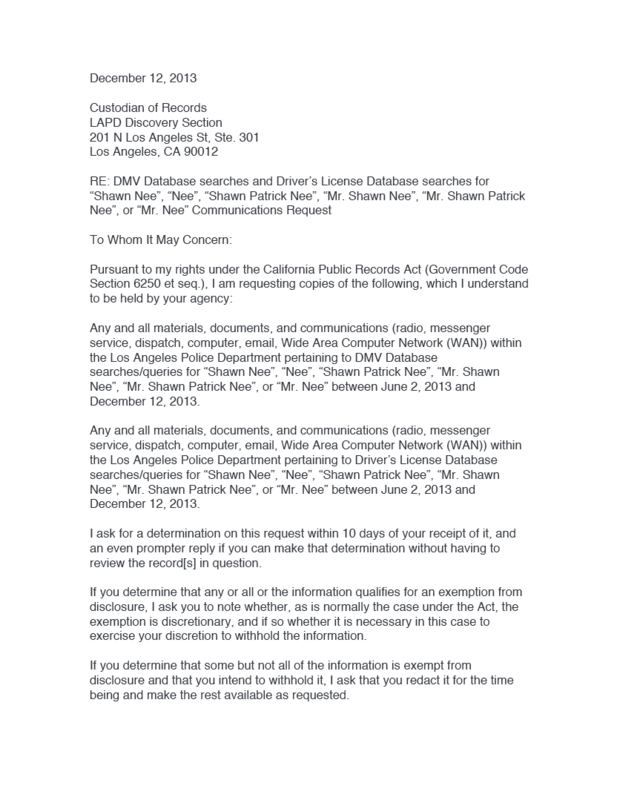 So my requests seeking to know how many times my personal records were access by Los Angeles Police Department during the past 6 months were denied.